Published on Friday, February 24, 2017. This article appears in the February/March 2017 issue of American Craft Magazine. The 24-year-old dreams of finding her stylish wares in homes throughout the country. These brooms and dustpans were part of her BFA thesis show at California College of the Arts. Brooms and dustpans aren’t likely to become trendy objects anytime soon, but this doesn’t deter 24-year-old Hannah Beatrice Quinn. She wants to make something you need. And Quinn’s brooms, like each of her chosen objects, are not the kind you have to hide in your closet. She sources the corn straw from a third-generation broom maker in California’s Central Valley. She hand-bevels the handles from walnut, cherry, or ash, before topping them with a leather strap for hanging. “Especially in San Francisco, spaces where we live are getting smaller. Not everyone has a broom closet,” Quinn explains. 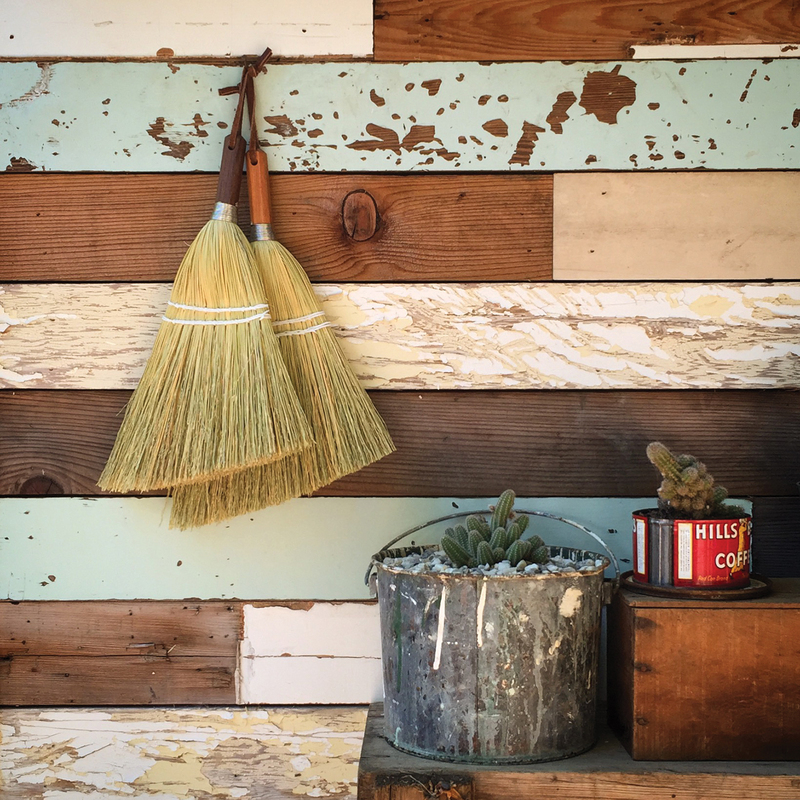 Hearing her describe her devotion to function, it’s easy to forget the kicker: Her brooms are works of art that flatter any wall. After graduating from CCA, Quinn landed a coveted spot with Workshop Residence, a for-profit San Francisco retail operation that brings together artists and product design, providing the financial backing to carry ideas into production. There, she refined her ability to both satisfy her artistic vision and produce market-feasible goods. Quinn’s Type A Stools are a clear example of this mediation between work and play: Thick, walnut tops rest on colorful steel legs that jut out at varied angles. 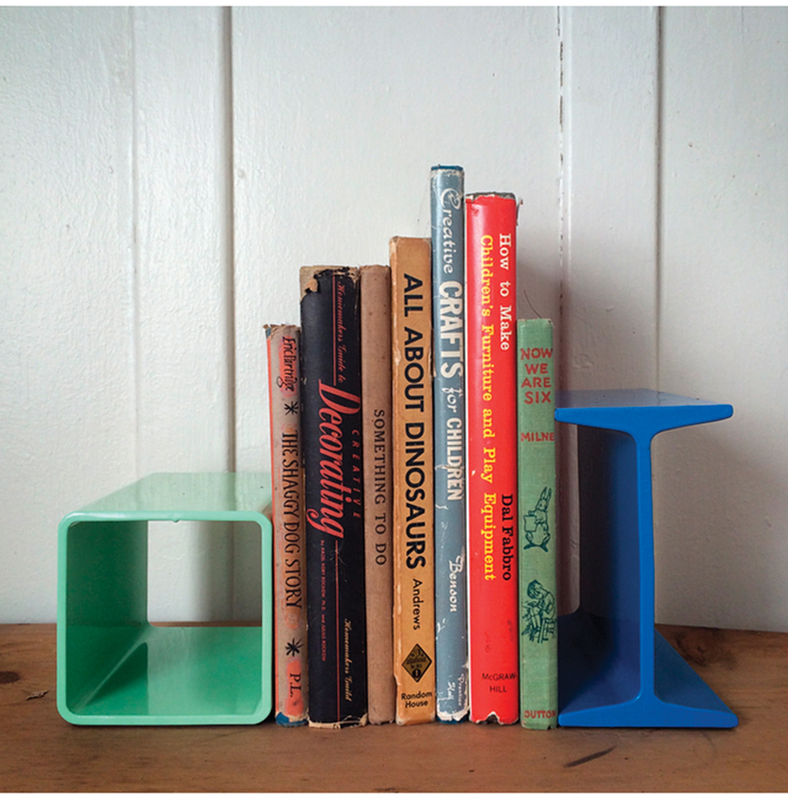 Her powder-coated steel bookends are similarly playful. The result: a set of unique, attractive objects that stays true to Quinn’s insistence on usefulness. Since completing her stint at Workshop Residence, Quinn rents part of a co-working space called Hunt Projects, a money-saving measure that’s made it possible for her to continue her work post-graduation. She also participates in a collective with three former classmates called Make.Do. ; it’s named for a World War II-era campaign by the British government to encourage creative thriftiness in austere times. The group works together on pieces such as the Make.Do. camp stool, which combines Quinn’s woodworking with a textile artist’s organic cotton seat. The collaboration gives Quinn a place to think beyond her usual approach, while remaining rooted in the practical world. Creative context: Quinn hails from an artistically oriented family. Her mother is a graphic designer, her father, a historic-preservation architect. Multifaceted maker: “When I went to CCA, I thought I was going to be a textiles major,” Quinn recalls. She did, in fact, take as many textile classes as she could – along with electives in jewelry, fashion, and photography. Right place, right time: As an art school grad, Quinn credits Workshop Residence with giving her a formative grounding in product design. The organization is the brainchild of Ann Hatch, a wellknown San Francisco art patron and the great granddaughter of T.B. Walker, who founded what became Minneapolis’ Walker Art Center in 1879. Framed by Quinn’s colorful Bookends of scrap steel and cork, well-loved books become an artful accent. 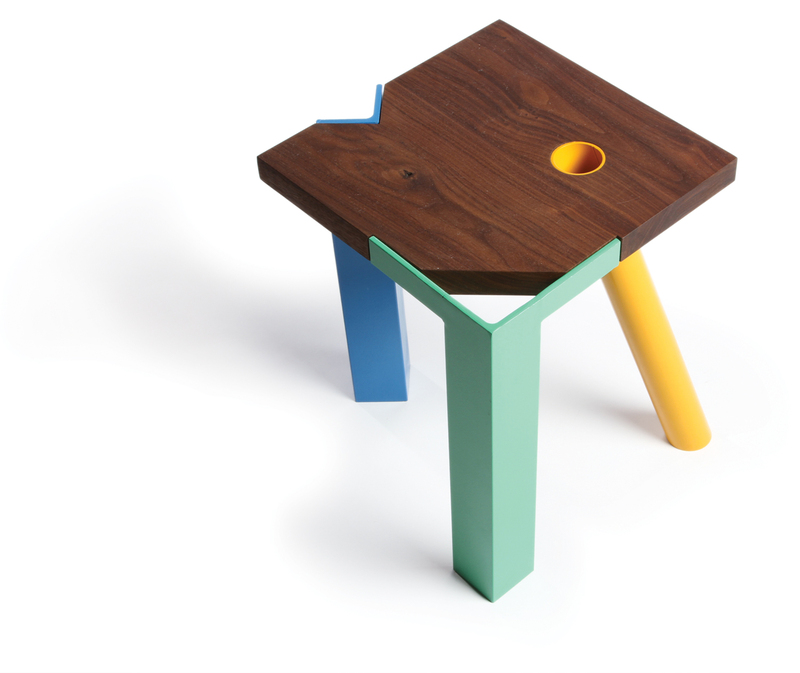 Playfully angled, powder-coated steel legs set apart Quinn’s walnut Type A Stool without jeopardizing practicality. Hannah Beatrice Quinn’s brooms are too lovely to store in a closet. The artist is committed to crafting beautiful objects with a purpose. 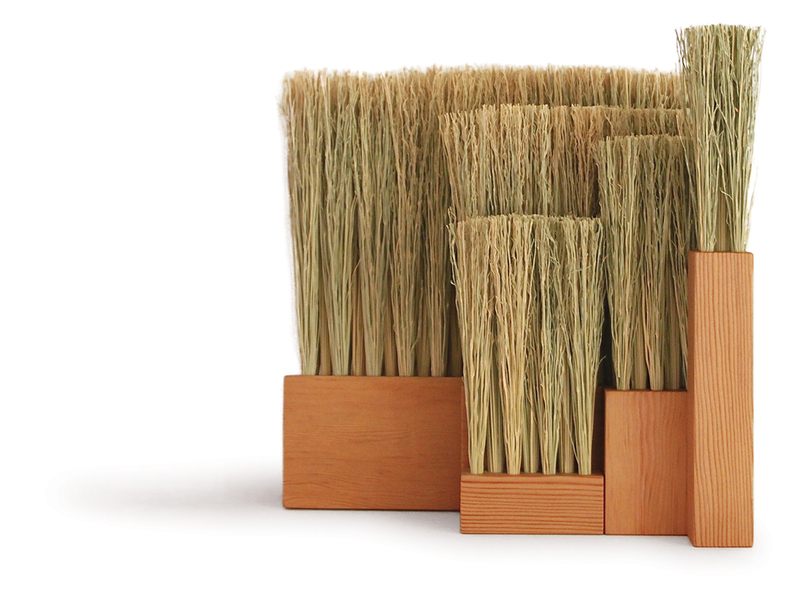 Quinn’s Block Brushes are made of Douglas fir and broomcorn sourced from a third-generation broom maker.